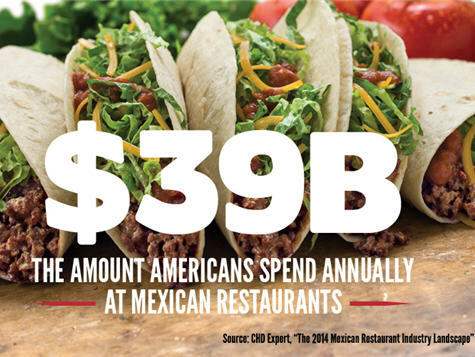 What does a Taco John's International Franchise Cost? Taco John’s is a proven concept which has grown to several hundred locations since 1969 — and its growth is rapidly accelerating. Its commitment to quality, freshness and bold flavors is a perfect match for what diners are looking for today, which is one reason why customer loyalty is so strong and why you should consider owning a Taco John's franchise. Taco John’s already has about 400 locations nationwide, and is led by a management team with experience growing brands and opening hundreds of restaurant locations. Taco John's is looking for multi-unit food and retail operators, high net-worth individuals, business owners, real estate developers and business executives who exhibit the qualities necessary to be a Taco John’s franchisee. This includes at least $350,000 in liquid assets and a net worth of $500,000 for a single unit and at least $500,000 in liquid assets and $1 million in net worth for a multi-unit agreement. They are looking for people who are willing to be trained in executing the Taco John’s operating system or who are willing to include experienced operators and full-time restaurant managers. Be a part of Taco John’s plans to become the second national competitor in Mexican quick service by reaching 1,000 units and continuing to grow for decades. The initial franchise fee for traditional locations is $25,000 for the first restaurant and $20,000 for subsequent locations. For non-traditional locations such as airports or college campuses, the initial franchise fee is $10,000. Taco John’s royalty fee is 4% of net sales for freestanding and end-cap locations, and 6% of net sales for non-traditional locations. Financing a Taco John’s is relatively simple. Franchisees are free to use their choice of lenders, plus we have established relationships with national lenders; Directed Equity and Wells Fargo. *These figures were based on 2014 calendar year results for six company-owned stores. Please see the Franchise Disclosure Document for complete details. Taco John’s franchisees receive support during the process of selecting and developing sites for their restaurants. 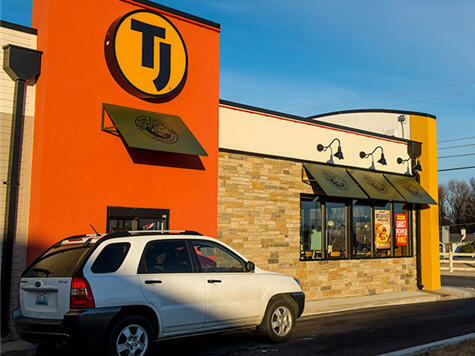 Taco John's will assist you with site layouts, reviewing bids and ordering equipment and supplies to coordinate with your construction schedule. You will be assigned an onboarding operations consultant (OOC) who works closely with you to navigate the process of launching, equipping, staffing, and operating the unit. At your grand opening, you will have three Taco John’s operations consultants, and as you build your business, you will have a regionally based franchise business consultant as your key resource. The training program includes four weeks of on-the-job training in one of Taco John's nationally certified training stores, which are located nationwide. Certified managers will train the rest of your staff, under the supervision of Taco John’s operations team members. Mexican food is increasingly popular, and Taco John’s is quickly filling the need for a second Mexican QSR option. Taco John’s and existing franchisees are expanding at accelerated rates and now is a great time to get onboard.